This volunteer isn’t a ball hog! 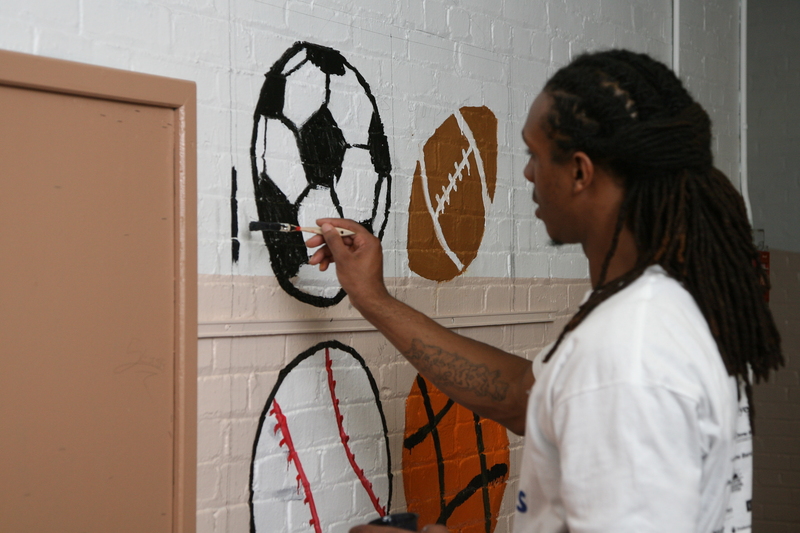 He is just painting an awesome sports themed mural! 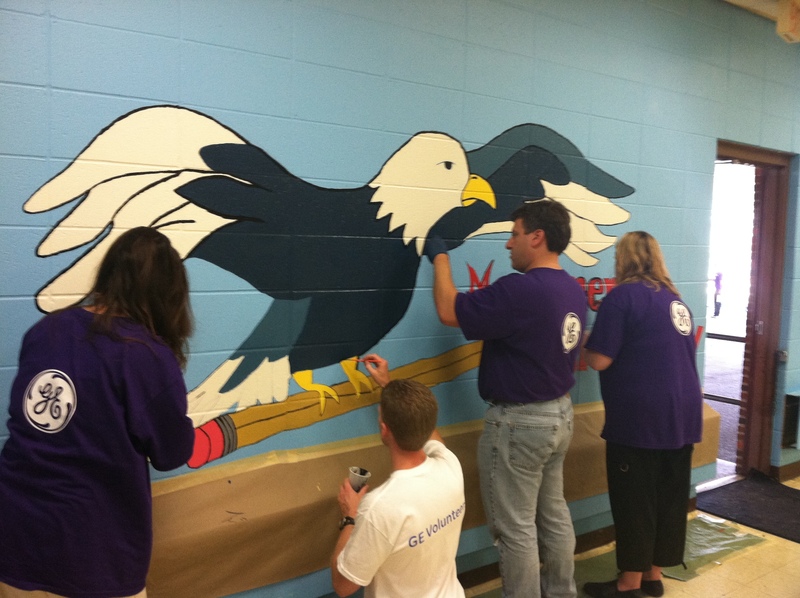 Just like this eagle, these GE Healthcare volunteers are talon-ted! Get your company involved with Jersey Cares. Click here to learn how. I’d make another chemistry joke, but all the good ones argon! These jokes are sodium funny, I hope you slapped your neon them! 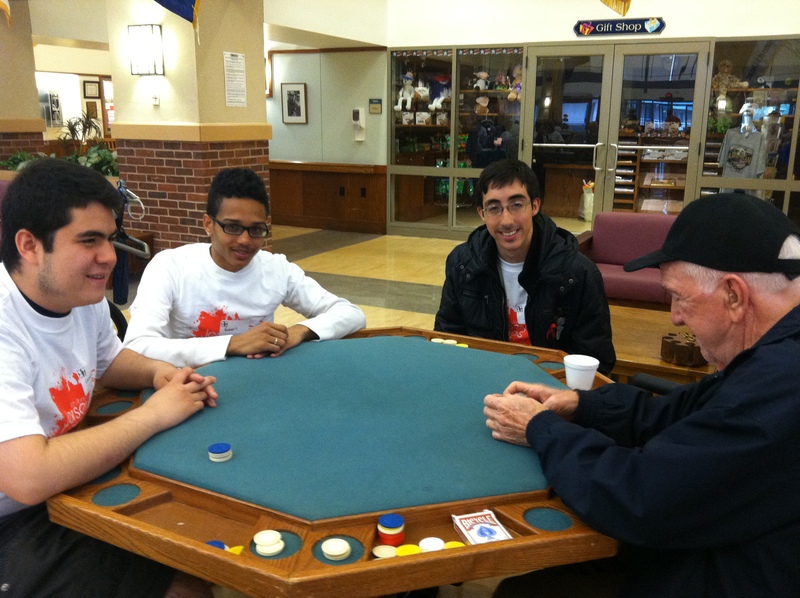 Good thing these are volunteers and not vampires or they would be playing for high stakes! Are we all in a-green-ment that this volunteer looks like he is having a gray-t time? 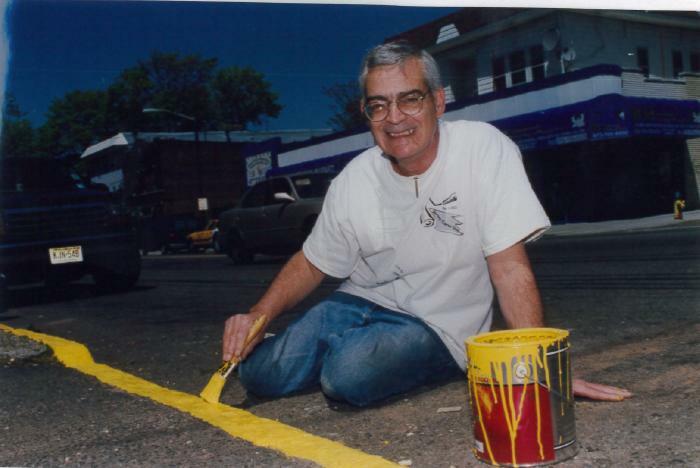 Don’t be yellow bellied, volunteer today! Click here to learn how. Orange you glad these color puns are over? 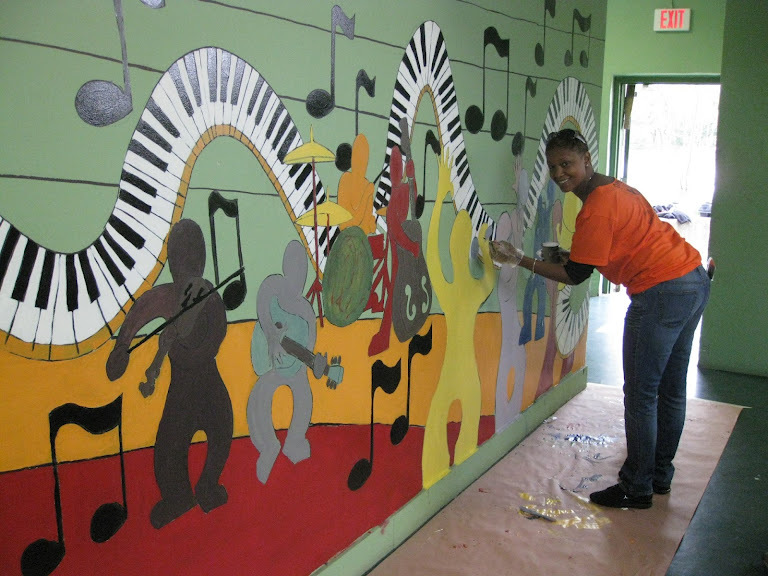 Don’t fret, we were able to compose ourselves when seeing how great this mural turned out! Just like all woodwind instruments, volunteer with Jersey Cares with no strings attached! Click here to learn more. Did you hear the song about the tortilla? Well, i guess it was more like a wrap! 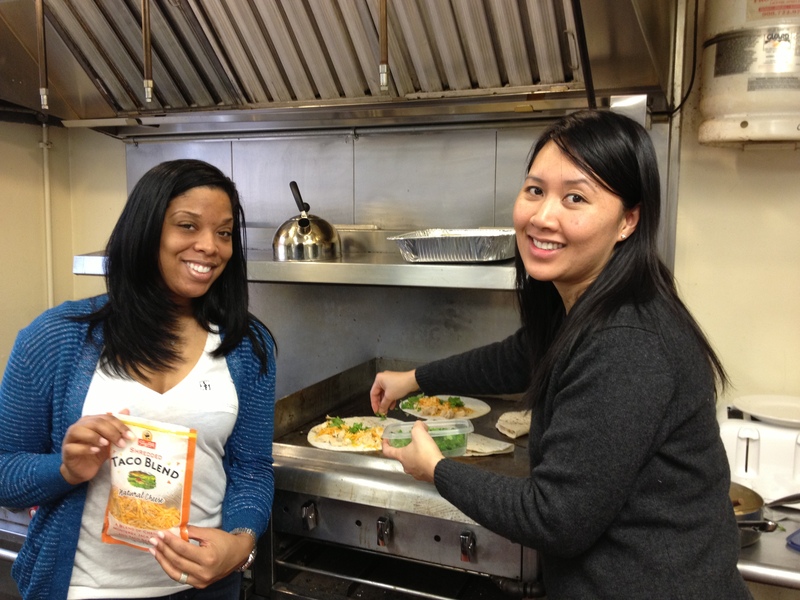 These volunteers did an amazing job preparing meals at one of our partner agencies. Get involved today and see what good deeds you can cook up!